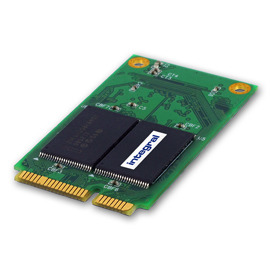 The Integral Mini PCIe Flash Module can be installed in minutes to increase your netbook and ultra-portable notebook storage capacity. SSD offers improved battery life, zero noise, less heat and fast operation. If you're not sure that you need a Mini-PCIe MLC (50 x 3.0 x 3.7mm) (SSD only) why not check your machine on our online memory configurator which shows the right memory for over 100,000 computers, printers, cameras, routers, phones and tablets?